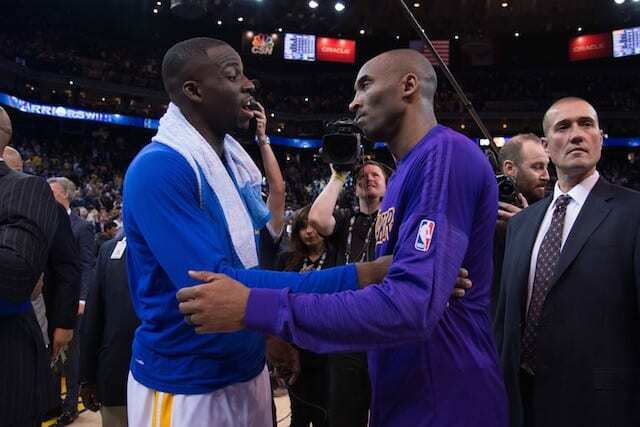 As we head into the next Los Angeles Lakers season, and a new era in Lakers basketball, the staff here at Lakers Nation has decided to take a look back and rank the 20 greatest Lakers of all-time. The staff put together a list of the most significant figures in franchise history based on accolades, achievements and statistics. While there were many deserving candidates, the group was ultimately narrowed down to 20. 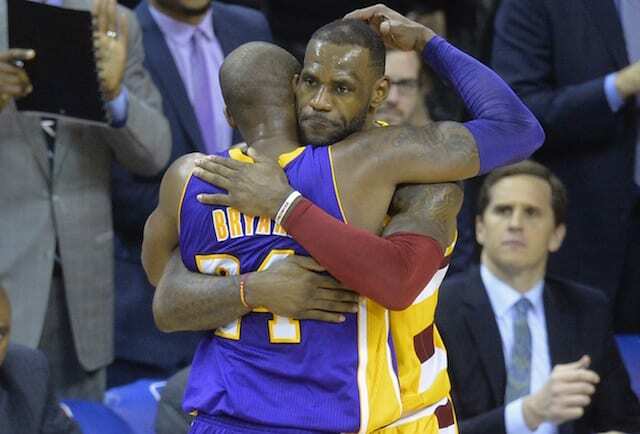 The rankings were determined by solely focusing on each individual’s accomplishments with the Lakers. Without further ado, here’s selection no. 14. The Lakers acquired Pat Riley from the Portland Trail Blazers in 1970, where he went on to spend six seasons of his playing career with the franchise. During the 1971-72 season, Riley appeared in 67 games off the bench for Los Angeles and averaged 6.7 PPG while shooting nearly 45 percent from the field. He won his first and only NBA championship as a player at the conclusion of the season. Riley’s first stint with Los Angeles came to an end in 1975 when he was traded to the Phoenix Suns, but less than a year later, he retired from the league and found his way back to the Lakers as a broadcaster in 1977. 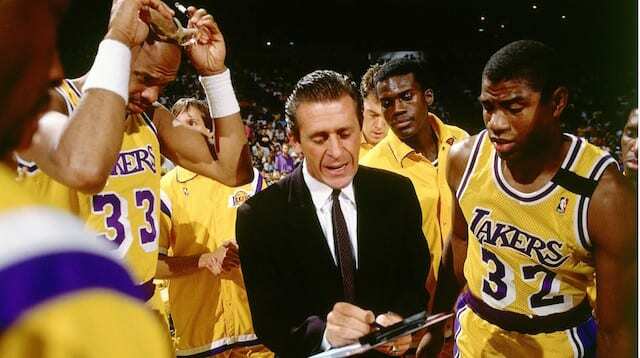 In 1979, Riley joined the Lakers’ coaching staff as an assistant. He would go on to win his second championship with the organization later that season when Los Angeles bested the Philadelphia 76ers in six games in the 1980 NBA Finals. Two seasons later, Riley was promoted to head coach after owner Jerry Buss fired his predecessor, Paul Westhead. The temporary status would soon become permanent, and the rest was history. Riley was instrumental in starting the ‘Showtime’ style of play that the 1980s Lakers were famous for. He stressed pushing the pace with Magic Johnson at the helm while also making sure the Lakers were one of the top defensive teams. 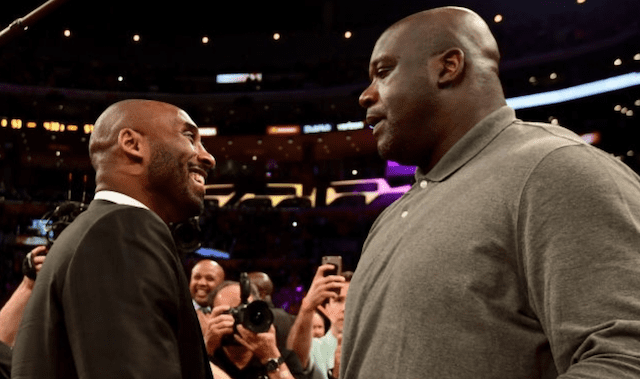 He knew how to push the right buttons for all of his stars, getting the best out of Magic, Kareem Abdul-Jabbar and James Worthy. Riley led the Lakers to seven NBA Finals appearances in his first eight years at the helm, including four consecutive appearances from 1982-85. 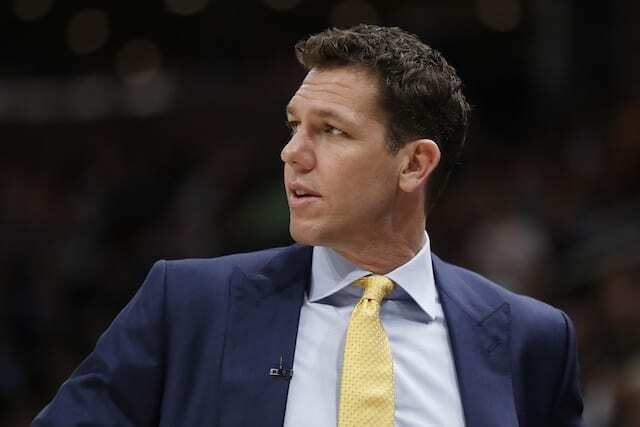 Over that stretch, he captured four titles and led the Lakers to the first back-to-back championships in the NBA since Bill Russell’s Boston Celtics. Following the 1989-90 season, Riley departed the organization after serving nine seasons as head coach. 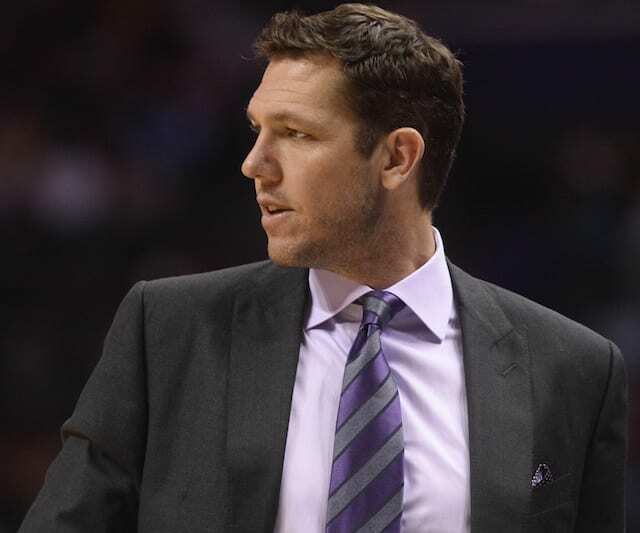 Prior to his resignation, he was named NBA Coach of the Year. In 2008, Riley was inducted into the Naismith Memorial Basketball Hall of Fame for his achievements as a head coach.